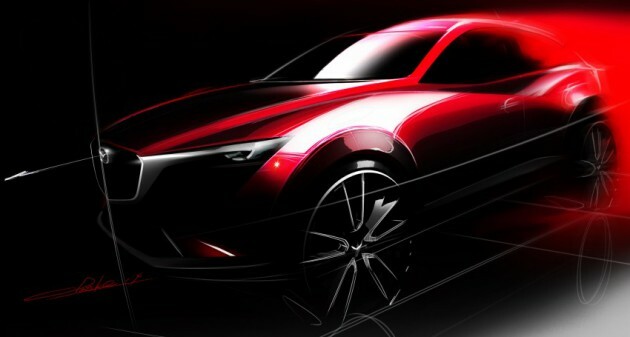 Mazda Motor Corporation today announced that its all-new compact crossover SUV, named the Mazda CX-3, will make its world premiere at the Los Angeles Auto Show, running from 21-30 November 2014. 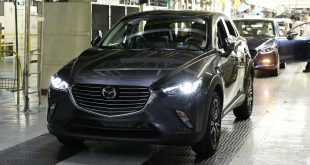 Mazda CX-3 is the fifth vehicle in Mazda’s line-up of new-generation products that feature the full range of SKYACTIV TECHNOLOGY and KODO-Soul of Motion design. In pursuing a design of beauty and sophistication, the essence of KODO-the expression of life within a vehicle-has been evolved to produce a sharper form with an enhanced sense of speed. In addition, the all-new Mazda MX-5 two-seater open-top sports car (Mazda Roadster in Japan) will make its North American auto show debut at the Los Angeles Auto Show. The engine line-up for the all-new MX-5 will be tailored to each market, and feature either a 1.5-liter or 2.0-liter SKYACTIV-G gasoline engine, tuned exclusively for the model and mounted longitudinally. 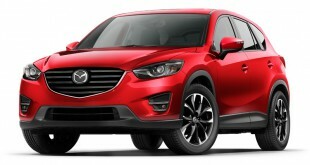 North American-specification models will only be fitted with the SKYACTIV-G 2.0 gasoline engine.